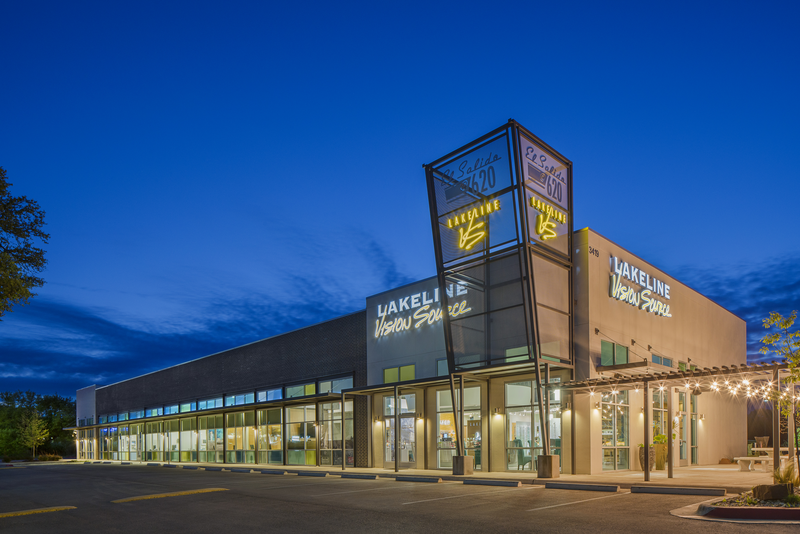 Lakeline Vision Source is your Eye Care Center in Cedar Park, TX! Lakeline Vision Source is located on the border of North Austin and Cedar Park, just minutes away from Lakeline Mall. We are open Monday through Thursday from 8:30 - 7 pm, closed Wednesdays from 12:30 - 1:30 pm for Office training and education. We are open Fridays from 8:30 - 1 pm, and Saturdays 9 - 5 pm. Lakeline Vision Source opened its doors on April 18, 1995. We moved into our beautiful new facility April 28, 2015. We are growing with our beloved city and are very proud to call Austin, Texas our home. All of our Doctors and Staff have ties to Austin, Texas. We love where we live and work! Our practice is Austin owned and operated, we live in your neighborhoods, our kids play with your kids. We proudly support live music, local schools, local sports and locally owned businesses. Click on the Google Directions below and enter your starting address. Directions will be shown to our new Cedar Park office, located at the intersection of El Salido and 620. If you’re in North Austin or Cedar Park, Texas, we’re only a short drive away. Call 512-918-EYES(3937) and follow the directions on the recorded message.